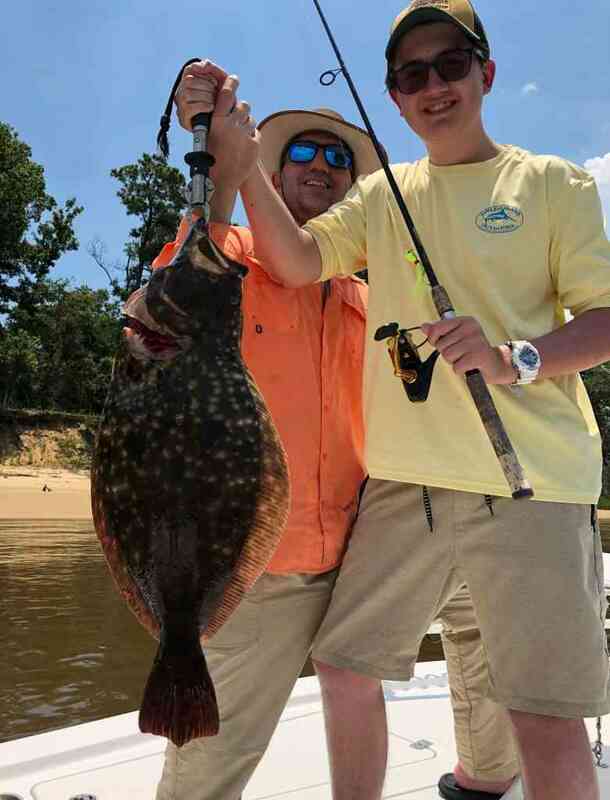 This is Captain Jordan Pate for your Myrtle Beach Fishing Report – July 2018. 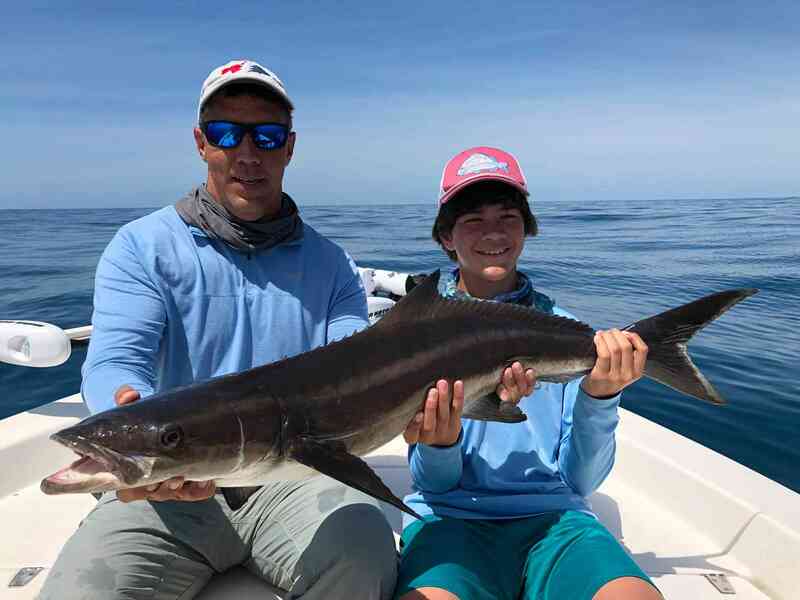 It’s been a very busy Summer with lots a great memories for anglers visiting the area. 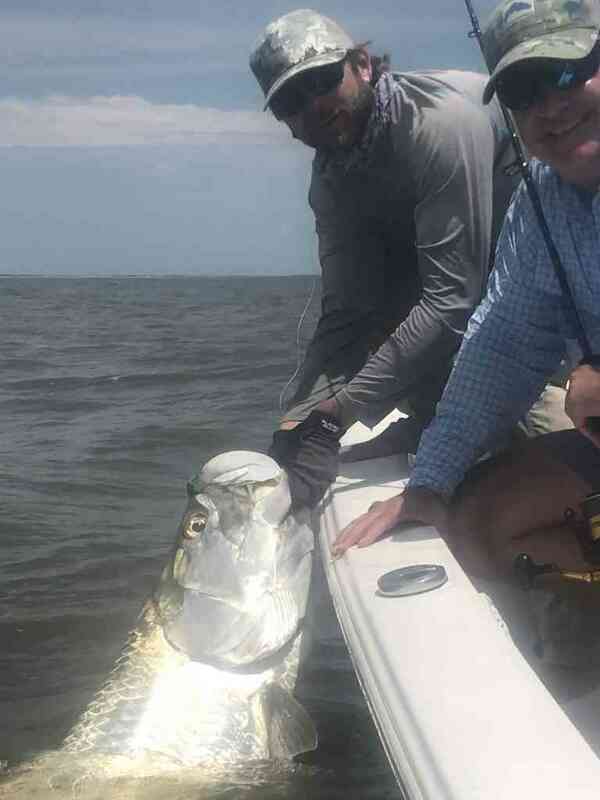 Summer time fishing in Myrtle beach can be very productive, particularly around the nearshore reefs, jetties and inlets out of Georgetown. I’ve been mixing things up a lot this Summer and we’ve been making the best of what we have on offer. 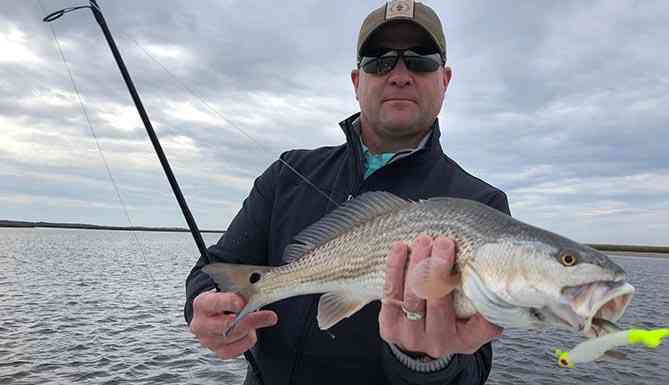 Flounder, Red Drum, Black Drum have been keeping anglers busy in the shallow water, while sharks, tarpon, and big Red Drum are plentiful for anglers looking for a bigger fight. 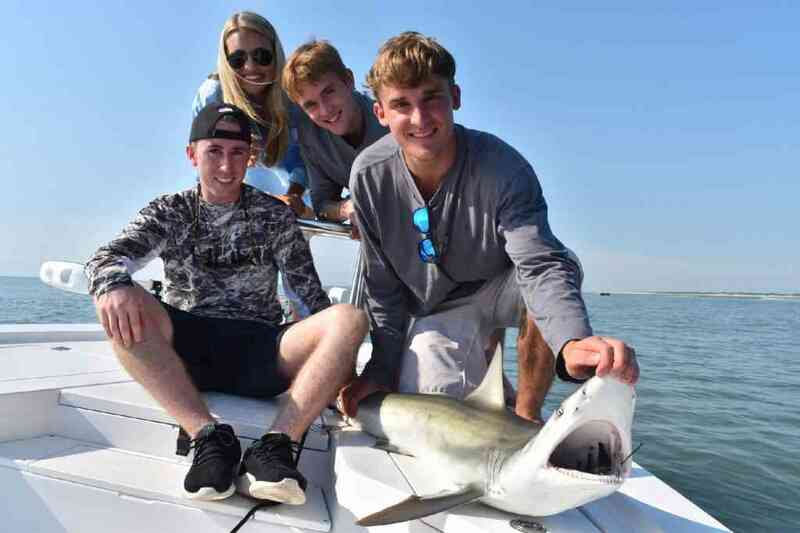 I’ve been running a good many shark fishing charters for the kids which are always a lot of fun. Most of the sharks we encounter are along the beaches around the menhaden schools. Sight-fishing to these feeding sharks is my favorite way to target them, particularly when the conditions are calm. Black tips and sandbar sharks are the most common species, however bonnetheads are usually a reliable option further back in the inlets. These sharks are a lot of fun on light-tackle fly or spinning gear. 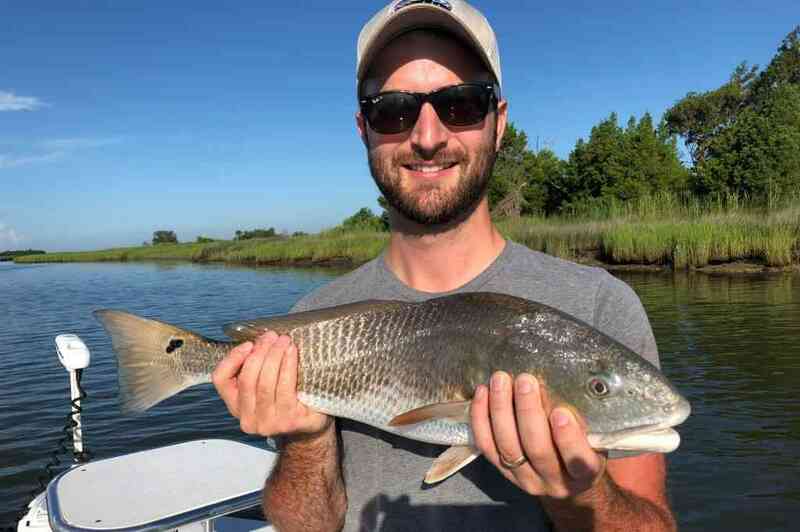 We are still finding scattered schools of red drum in the shallows, however the bite can get very challenging as the mid-day heat sets in so your best luck will usually happen in the am. 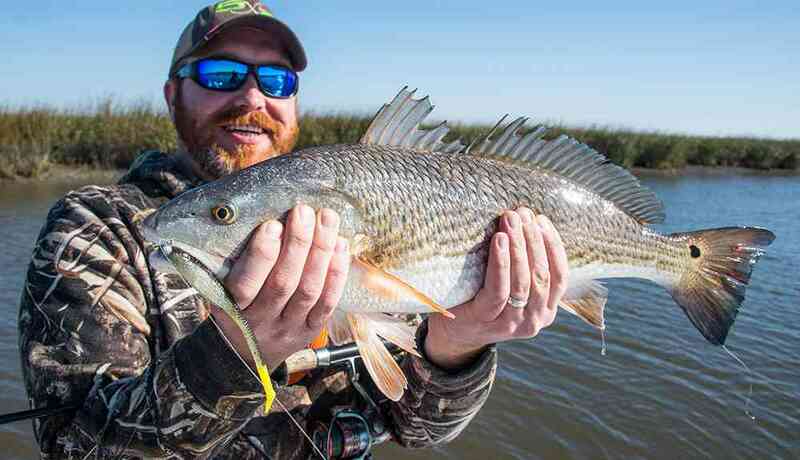 Topwater Lures and soft plastics like the gulp shrimp are good options for the more experienced anglers. Live bait is very plentiful at the moment which is good to have in the livewell as insurance. Im seeing plenty of finger mullet and menhaden in the creeks as well as brown shrimp. After a late start, the flounder fishing has been exceptional in recent weeks. 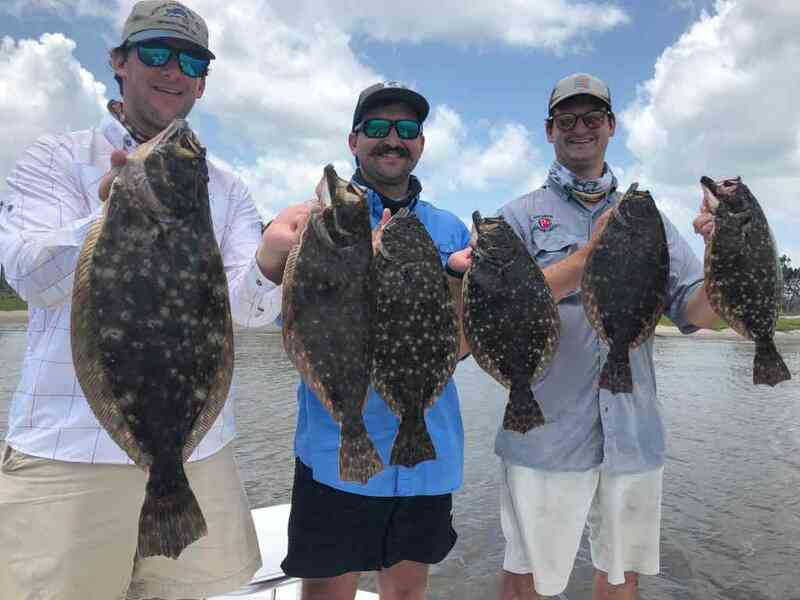 Although we are still catching a lot of undersized flounder, certain areas in deeper water have been producing some real doormats. Fishing with a carolina rig with live bait like mullet and menhaden will give you the best chance of catching a flounder. 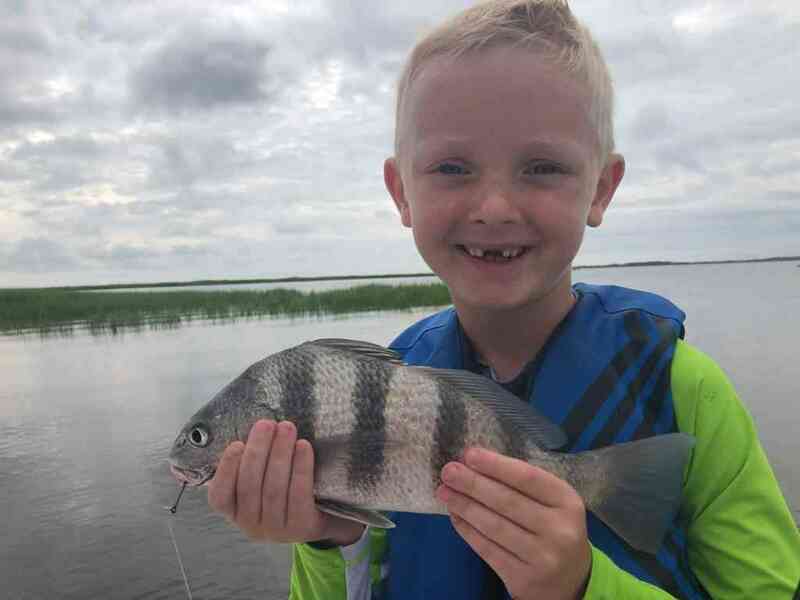 Black drum are also keeping the kids busy which we are catching along the grass edges and over live bottom or structure. 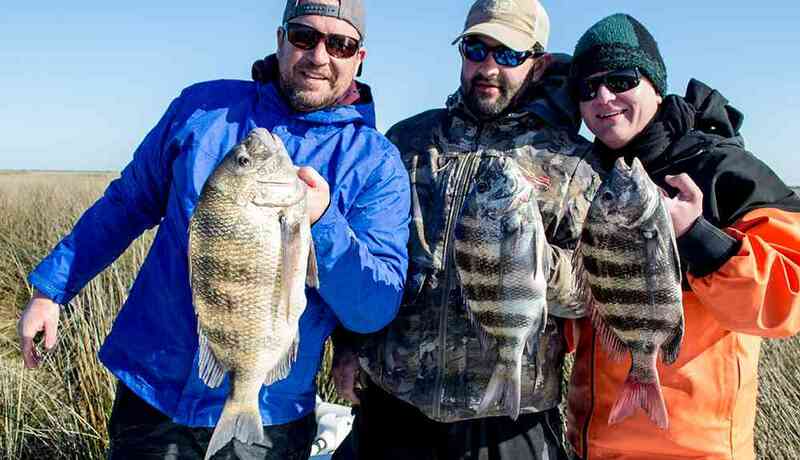 Fresh shrimp on the bottom will entice a black drum as well as other bottom fish. 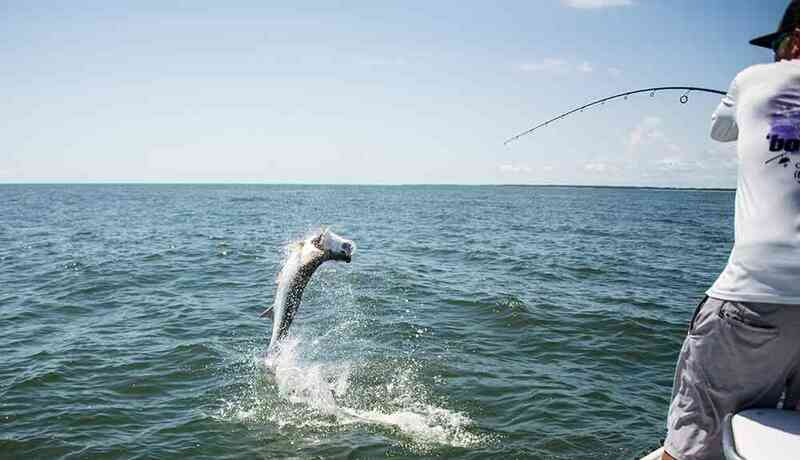 Tarpon are also beginning to show up in good numbers and we’ve already landed a few in the last three weeks. 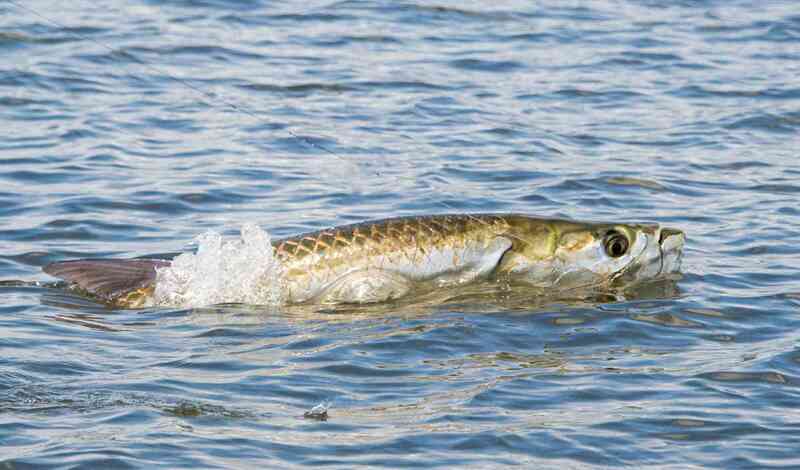 Look for the tarpon fishing to continue to get better towards the end of Summer thru early October. I still have a few dates open for Tarpon fishing in Myrtle Beach so please contact me if you are interested. Thanks for reading and I hope to see you on the water.